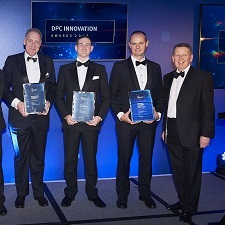 i2D’s Equipment Performance Review (EPR) tool received a high commendation for Innovation in Project Design at the DPC Innovation Awards Gala in London. Simon Burgmans was present to receive the award in the name of Ralph Brevet, who was unfortunately unable to attend the event. The commendation recognises EPR as a fast and simple to use data viewing and manipulation tool to review performance of equipment.